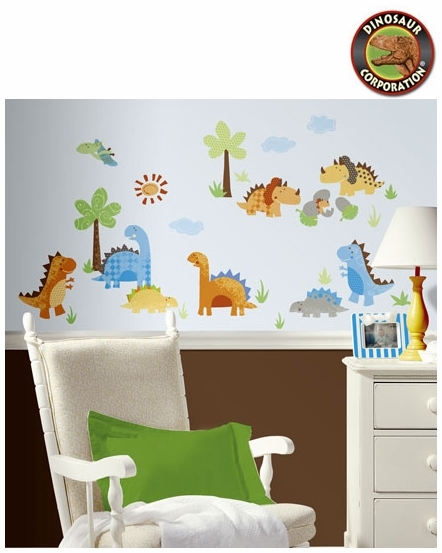 Bright colors and fun patterns of these baby dinosaurs wall decals will make any nursery, bedroom, play area, or classroom a fun place to be. Each decal is completely removable and repositionable, and is easy to apply and move around over and over. Use them together to create a fun "scene," or scatter them around on every wall. A perfect match to the coordinating Babysaurus growth chart! * 4 sheets of 18" x 10"
* Decals range from: 2.22" x 1.46" to 8.9" x 8"